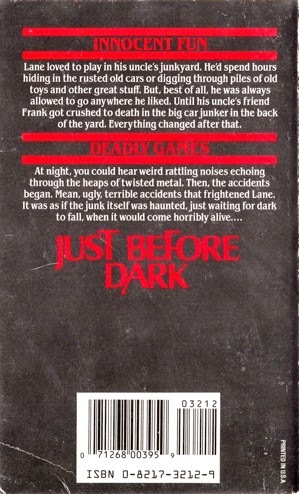 Just Before Dark is the fifth (of five) horror novels written by Bill Crider and published as by Jack MacLane. It was published by Zebra in November 1990, and the cover art is terrific in a disturbing if tongue-in-cheek sort of way. It is dark—a purple smudge for sky—and features a cold metallic junkyard piled high. It reminds me of the first thirty minutes of the film “Wall-E” with the added appeal of skeletons strewn throughout. The artist is uncredited. 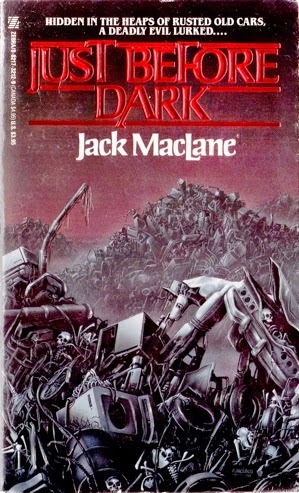 I haven’t read any of the “Jack MacLane” novels, but knowing the general high quality of Mr Crider’s work I plan to remedy that very soon. 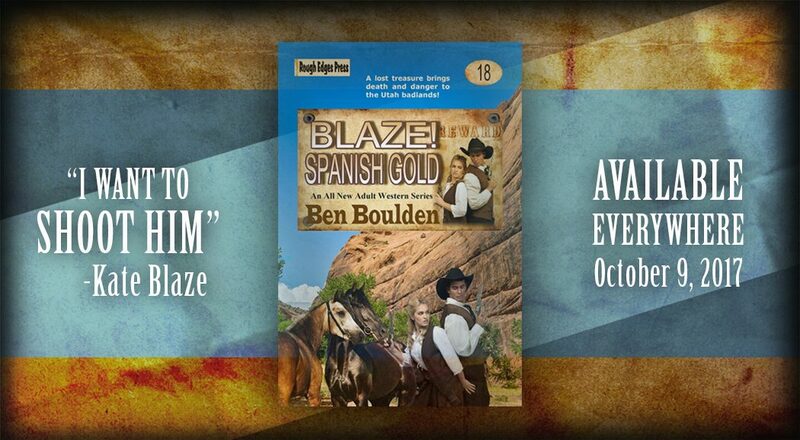 All five of the MacLane novels are currently available as ebooks. This is the fifth in a new series of posts featuring cover and miscellany of books I find at thrift stores and used bookshops. It is reserved for books I purchased as much for the coer art as for the story or author. Ed Gorman is one of the top writers of genre short stories. His most recent collection of short fiction, Scream Queen and Other Tales of Menace, features the Gorman short story at its best. It includes 14 stories published between 1989 and 2014. The stories range from science fiction to straight crime, but each has the commonality of the outsider perspective, and a certain discomforting velvet darkness. The collection opens with the 1999 story “Angie” (originally published in the anthology 999: New Stories of Horror and Suspense). Angie has goals. She wants the best life has to offer. As a girl she heard the term “kept woman” and has spent her life aiming toward that destination; somehow she ended up the live-in of a bigoted small time criminal, with his son, in a dilapidated trailer. The story builds quickly, and in unexpected ways—not once, but twice—and the ending is a perfectly dark shadow of humanity. Scream Queen is a rich collection of stories; none are weak and each is entertaining and even provocative. The best of the group—first among equals, in a sense—is the 1994 science fiction story “Cages” (originally published in the anthology Earth Strikes Back. It is written in third person from the perspective of a young boy whose father is a “dreamduster” (read drug addict). There is strife between the boy’s mother and father, mostly due to lack of money, and he has the dream of a perfect life. A new car. A sunlit afternoon. And peace. He thinks the key is money, and he has a plan to get it for his mother. “Cages” is truly a masterpiece. 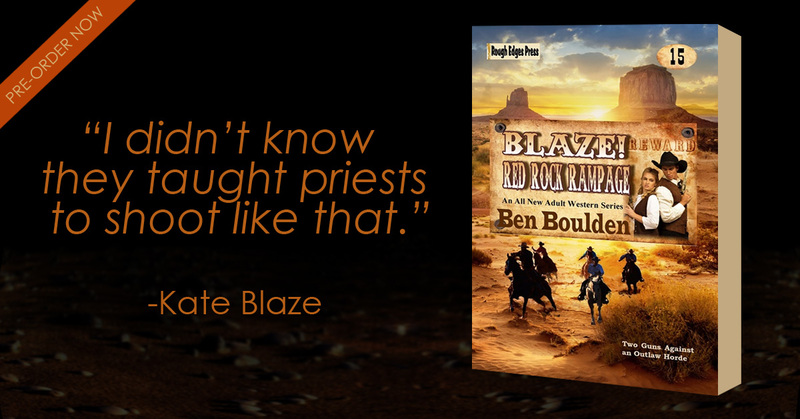 It is set in an undefined place and time; a futuristic (in a bad way) place to be sure. A gray world with bitter gray people. The boy’s plan is executed, but not quite revealed until the final paragraphs of the story, and its revelation is stunning. It is reminiscent of Richard Matheson’s early science fiction stories—it particularly reminded me of his “Dance of the Dead”—but it is wholly Ed Gorman from its sympathetic treatment of the boy to the pity of the denouement. The collection includes many of Mr Gorman’s classic dark suspense stories, including “Out There in the Darkness” (basis for the novel The Poker Club), “Stalker,” “Render Unto Caesar,” “Famous Blue Raincoat,” “The Brasher Girl” (basis for the novel Cage of Night), and the powerful vampire story “Duty”. It also includes a few of his more recent offerings, including the terrific title story “Scream Queen” and “Calculated Risk”. Scream Queen and Other Tales of Menace is published by Perfect Crime Books, and it includes a very nice Introduction by Tom Piccirilli, an Afterword, which is a brief interview with Ed Gorman, and there are editorial notes at the end of a few of the stories. 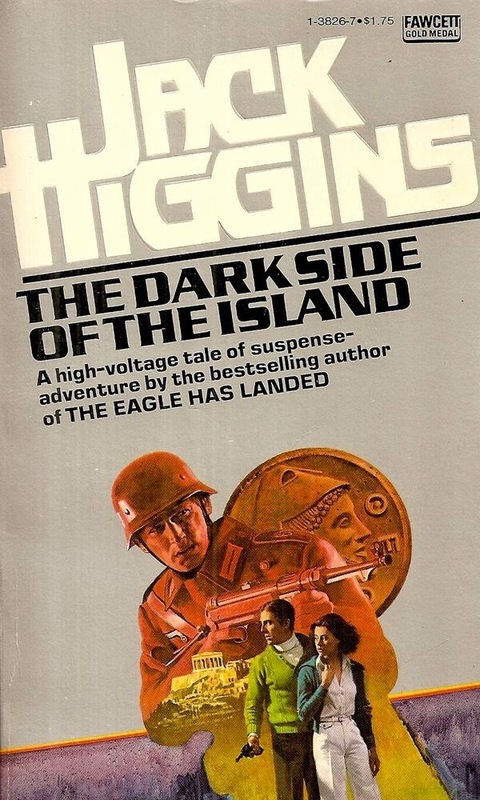 The Dark Side of the Island is the eighth novel published by Harry Patterson. It was released as a hardcover by John Long in 1964, and it is the first novel, of many, Mr Patterson set (at least partly) during World War 2. Hugh Lomax is a working screenwriter, and recent widower. He is English, but makes his home in California. As the novel opens Lomax is steaming to the small Greek Island of Kyros. He was briefly on Kyros seventeen years earlier with British Intelligence to destroy a high tech radar installation. He is returning for an elusive reason; something unfinished, nostalgia, or simply to see the island in the warmth of peacetime. Unfortunately his welcome is less than cordial. 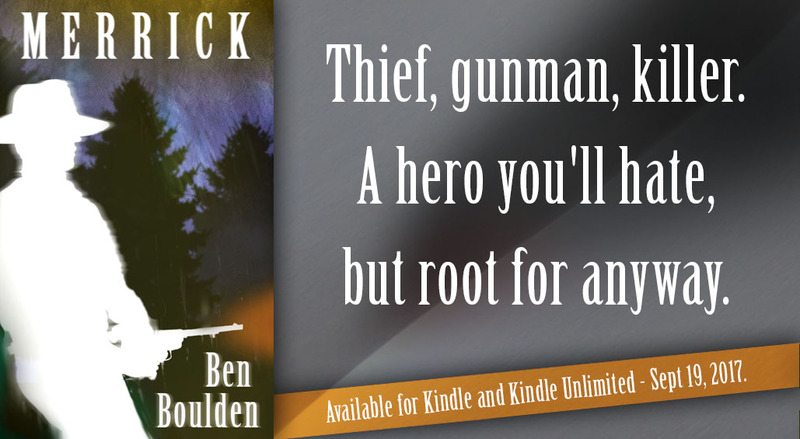 A man he considers an old friend threatens to kill him, another actually tries to kill him, and the local constabulary politely asks him to leave. The locals blame Lomax for snitching out the islanders who helped him to the Germans and nearly all of them hold a grudge. For good reason. Nearly everyone was sent to a concentration camp at Fonchi, and more than 20 never returned. The Dark Side of the Island is told in three acts. The first and third are set in the early 1960s, and the middle is set during World War 2. Lomax is lost in the mystery of who talked to the Germans, and why. He knows it wasn’t him, but no one on the island seemingly had a motive—or anything to gain—from the betrayal. Lomax is a classic Jack Higgins’ protagonist; brilliant, principled, and something less (at least in the world’s eyes) than he could be. The storyline is familiar to Mr Patterson’s regular readers, but the foray into the past is something rare. It isn’t perfectly executed. There is some confusion on character names. There are two with the name “Yanni”; one a young boy in the modern sections and another a shepherd during World War 2. The plot is relatively complicated and it would benefit from more flesh (i. e. development), but like all of Mr Patterson’s novels it is sleek, fast, and entertaining. An element that separates Mr Patterson’s work—particularly his early novels—from most of its competitors is the small and accurate detail. In the opening pages Lomax discusses his work with the E.O.K. in Crete during the war; a right of center partisan group organized by British Intelligence to act as a competitor to the communist underground.